Are you looking for GoDaddy Review? You are at right place. In this review, you will get to know about the services, features, pro and cons of GoDaddy Hosting. GoDaddy needs no introduction. We all know that GoDaddy is world’s largest domain name registrar. 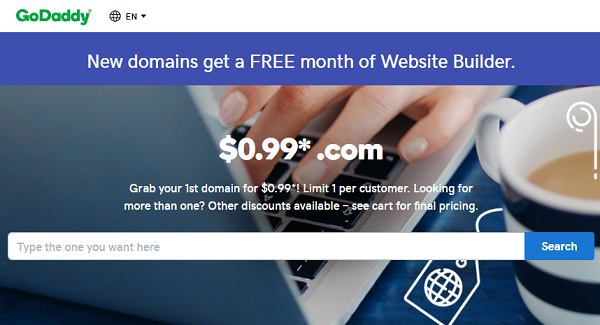 Initially GoDaddy was found as domain name registrar but today they are offering a wide range of services from Web Hosting to Website builder, email marketing, web security and much more. Over a period of time, GoDaddy has improved the speed, reliability and customer support at a large extent. In the Year 2017, they made $2,231.9 million revenue, according to Wikipedia. GoDaddy acquired Media Temple, Mad Mimi, Sucuri, Freedom Voice, ManageWP and many more companies to grow in the space of Web Hosting and offer blazing speed and best security. In April 2005, GoDaddy became the largest ICANN-accredited registrar. As of 2018, GoDaddy is the world’s largest web host by market share. Whether you choose BlueHost or GoDaddy, it doesn’t matter. Each and every Web Hosting Provider has it’s own pros and cons. You need to focus only on your requirement. Which web hosting provider fulfill your requirement, this is the main fact. Let’s see the pros and cons of GoDaddy Hosting. Low price plan is limited but still competitive in the marketplace. SSL Certificate is available with limited plans. High Renewal Prices – GoDaddy’s renewal prices are competitive. GoDaddy offers different type of Web Hosting Plans Shared, WordPress, VPS and Dedicated. The best thing is that they give you the opportunity to choose Linux hosting and Windows hosting. GoDaddy charges monthly fee for it’s Linux or Windows based shared hosting servers, but you can get good discount with annual or long term plans. Their plan starts at $2.49/month but you can get the same hosting plan at $1.00/month with our exclusive discount link. Looking to the growth and popularity of WordPress, GoDaddy came up with managed WordPress hosting solution. 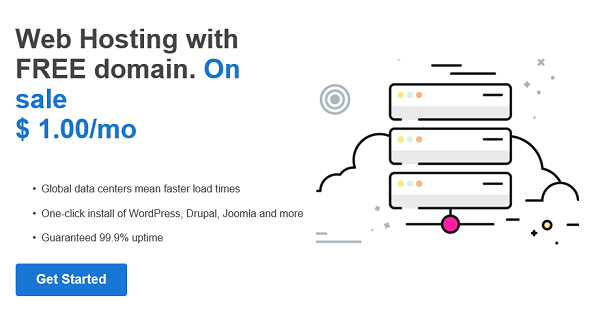 With GoDaddy Managed WordPress, you get Automatic setup, backups and WordPress software updates, Industry-leading performance on premium hosting platform and Award-winning 24/7/365 support from hosting experts. GoDaddy’s VPS plans starts at $18.99/month. They offer Linux and Windows VPS hosting plans with 1 dedicated IP, Unmetered Bandwidth, 1 year free SSL certificate, Automated and on-demand snapshot backups, and 24/7 expert VPS support. GoDaddy’s dedicated server hosting comes with different configurations. Their dedicated hosting plan starts at 69.99/month. You get extreme power, flexibility and control with GoDaddy dedicated hosting server. Do you know what is most important thing about yourself and your customer on the web? It’s security and trust. If your website asks customers for sensitive information – usernames, passwords, credit card numbers, etc. then your reputation depends on protecting that details. For your business to succeed, customers need to trust that you’ll protect their sensitive information from hackers and identity thieves. If your website is not secure or protected, you may loose trust of your customers. SSL Certificates use advanced encryption to prevent hackers from reading any data that passes to or from your site. GoDaddy’s SSL certificate plan start at as low as $5.0/month for one website. Conclusion: Is GoDaddy the Right Choice for You? As already said, GoDaddy has improved the speed, reliability and customer support. So for a small business or newbie blogger, GoDaddy can be a perfect solution. I hope this in-depth GoDaddy Review helped you to understand GoDaddy in a better way. I have tried to tell you everything about GoDaddy to clear all your confusions. if you are still confused about GoDady, then do write us in comment section.